As a service to alumni in the state, the nonpartisan UI Alumni Association Board of Directors posed a series of questions to the two major party candidates for Illinois governor— Democratic incumbent Gov. Pat Quinn and Republican candidate Bruce Rauner. The two major party candidates for Illinois governor—incumbent Democrat Gov. Pat Quinn and Republican candidate Bruce Rauner—were invited by the University of Illinois Alumni Association Board of Directors to weigh in on a number of issues related to higher education and the University of Illinois, including the state’s budget crisis, the selection of University trustees, higher education funding and regulatory burdens. The UI Alumni Association is a nonpartisan, independent organization that does not make political endorsements. Both candidates provided their answers in writing to an identical set of questions. 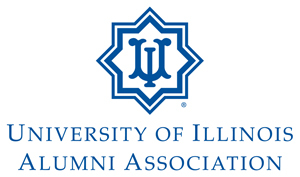 As the voice representing more than 300,000 UI alumni living in Illinois, the UI Alumni Association Board (composed of alumni leaders) believes it is important for alumni in the state to know where the candidates stand on issues related to higher education and the University of Illinois. The UI Alumni Association has collected and shared this information with alumni for the past three gubernatorial elections. The Nov. 4 election is an important time for the people of Illinois and for the University. How do you plan to resolve Illinois’ budget problems? Even with a plan, how will you break the legislative deadlock that has helped lead to this financial crisis? PAT QUINN: After inheriting a budget crisis from decades of mismanagement and the worst recession since the Great Depression, I have taken hard but important steps to stabilize the state’s finances. I fought for and enacted a mix of needed budget reductions, reform and revenue. I cut state spending by more than $5 billion, enacting efficiencies and making tough choices, including closing facilities. I signed into law pension reform for new employees, and – after a long, hard fight – I enacted comprehensive pension reform that Moody’s credit rating agency said could be the most significant pension reform in the nation. I signed Medicaid reform, worker’s compensation reform and unemployment insurance reform to make our business climate more attractive and strengthen our recovery. I also aggressively pursued new economic opportunities, leading trade missions and successfully recruiting new businesses to Illinois. University of Illinois officials, faculty and alumni have accompanied me on trips to China, Brazil and Mexico. In each country, we met with University alumni who are leaders in business and government. This connection is vital to advancing our position in the global economy. Today, Illinois is making a comeback. Unemployment is at its lowest point in six years and more people are working today than in the first month of my administration. Jobs have been and will continue to be my top priority. While we have more work to do to put more people back to work, we’ve come a long way. In order to create more jobs, the best economic tool a state can have is a strong education system. We must properly fund public education in order to provide our students with the quality education that they deserve and that is one of my top priorities. I’ve made the tough decisions to protect education from radical cuts sought by Republicans, and we’ve been able to keep higher education funding relatively stable, even in this most difficult of financial times. I believe that we must invest more in state-of-the-art classrooms and laboratories so that Illinois graduates are exceptionally well-prepared for success in their careers. This year I proposed the largest investment in education in Illinois history. My five-year plan includes doubling MAP grant funding to make sure deserving students in need are able to pursue their dream of a college education and that they are equipped to excel in the 21st century workplace. In the first year alone, my plan will provide 21,000 more students with an opportunity to attend college that would not otherwise be available. BRUCE RAUNER: Pat Quinn has run our economy into the ground, resulting in massive education cuts, rising tuition costs and one of the worst per-student funding ratios in the nation. I have a detailed plan to stop this trajectory. We need pro-growth comprehensive tax and regulatory reforms to ensure that we attract more employers and jobs to our state. If we can stop the outmigration of Illinois families, we’ll be able to invest in priorities like higher education. The ultimate causes of our problems are the career politicians who have run our state into the ground. Pat Quinn has had a super majority of support in the Illinois General Assembly for years, and we are worse off because of it. We need a governor who values our institutions of higher education, instead of cronyism and corruption. I will build the coalitions we need to bring back our state. The academic quality and world-class status of the University of Illinois is attributed largely to its faculty and staff. Because of pending changes in state pensions, UI faculty and staff are very nervous about their future benefits, and many have opted for early retirement. In addition, many potential faculty have turned down offers to work at the U of I because of uncertainty with the pension system. What are your thoughts about what UI faculty and staff can expect in the future regarding the status of their state pensions? BRUCE RAUNER: If we are to have world-class universities, we need world-class faculty and staff. I believe that the Illinois Constitution is perfectly clear – it is unconstitutional to reduce retirement benefits or COLAs for current workers and retirees. I did not support Pat Quinn’s legislation that cut benefits and COLAs for state workers. And while most reasonable people agree that the legislation will be overturned, Pat Quinn has doubled down and is still defending the legislation as it is being reviewed by the Supreme Court. I believe the ultimate solution to meeting our pension obligations is restoring economic growth to our state. Unless we stop the flight of jobs from Illinois, we won’t be able to meet our fiscal commitments. I’ve put out a detailed plan to transform our economy so that we can invest in our workers’ retirements and increase spending on our institutions of higher learning. PAT QUINN: The comprehensive pension reform I fought for and signed into law will eliminate our unfunded pension liability and stabilize our pension system. I expect the landmark law I signed to be upheld as constitutional. I worked with legislators in both parties to get the job done on pension reform last year, and it is important that the Supreme Court now be heard. We will take the feedback of the court and respond swiftly and appropriately to ensure the state’s finances are secured and protected. I believe that the pension reform that we have enacted offers faculty and staff the greatest security in assuring that their retirement benefits are stable and solvent for decades to come. I worked with legislators and the SURS board this spring to resolve the specific concerns of the faculty related to the timing of their retirement. We were able to prevent an exodus of faculty at the University with this resolution. I know that the University is committed to developing a benefits package that allows them to combine the State pension with additional retirement savings so that they can continue to recruit world-class faculty. My opponent supports a risky 401(k)-style plan to privatize pensions, which would cost billions more dollars, and wreck employees’ retirement security. The state’s appropriation to public institutions of higher education continues to shrink. Where do you rank funding for higher education in your list of priorities? Do you support funding of the U of I at its current level of $633 million, or more or less than that amount? PAT QUINN: The University of Illinois plays an integral role in the economic vitality of our state with exceptional academic programs, world-renowned faculty and cutting-edge research. My goal is to ensure that the U of I is a world-class institution that continues to lead our state economically, culturally and educationally. That will require increased revenues for education. I am prepared to invest in public higher education so that students across our State have access and opportunity to high-quality post-secondary education. Our universities and community colleges have made exceptional progress in difficult financial times through efficiencies and by redirecting their resources. My future budgets will restore and then expand the State commitment to higher education. BRUCE RAUNER: Education is the most important thing we do as a community—and if we don’t get it right, nothing else matters. A high-quality education is the key to economic empowerment, higher lifetime earnings and a competitive, world-class workforce. We are near the bottom when it comes to state funding for higher education - Illinois ranked 43rd in per-student state funding in the 2011-2012 academic year. The University of Illinois alone has seen a more-than-$80 million cut from its annual appropriation since 2009. That’s wrong. I support increasing investment at the University, as well as improving our overall education system, from early childhood through postsecondary institutions and beyond. I’ve directly backed the University of Illinois by financially supporting the Stanley C. Golder Center for Private Equity and Entrepreneurial Finance, and was a member of the Chancellor’s Strategic Advisory Board.